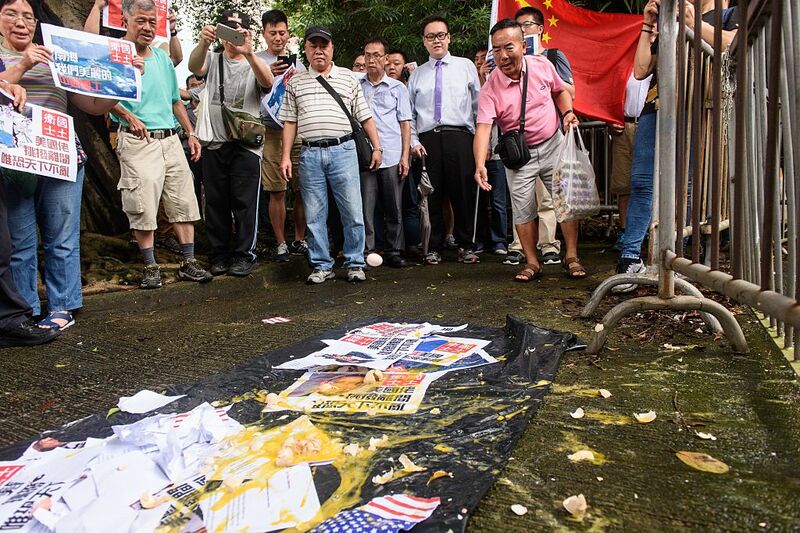 A pro-China protester throws eggs at photos of U.S. President Barack Obama and torn copies of the ruling by the Permanent Court of Arbitration in The Hague against Beijing’s extensive claims in the South China Sea, outside Hong Kong’s United States Consulate, July 14, 2016. On this week’s episode, our guest Ma Tianjie, editor of the bilingual environmental website chinadialogue and the blogger behind Chublic Opinion, untangles the complexities and contradictions of online discussions in China. Ma shares insights into three key events in China’s public-opinion landscape that inflamed hordes of online commentators: a shocking family murder-suicide; a famous actor’s cheating spouse; and a mass online action in the name of patriotism against a popular film director and Kentucky Fried Chicken. The conversation also delves into the origin of the “little pink” patriots who combine cutesy pop culture with nationalistic cyberactivism, as well as Chinese critiques of “white liberalism” and the urban elites who espouse its values.